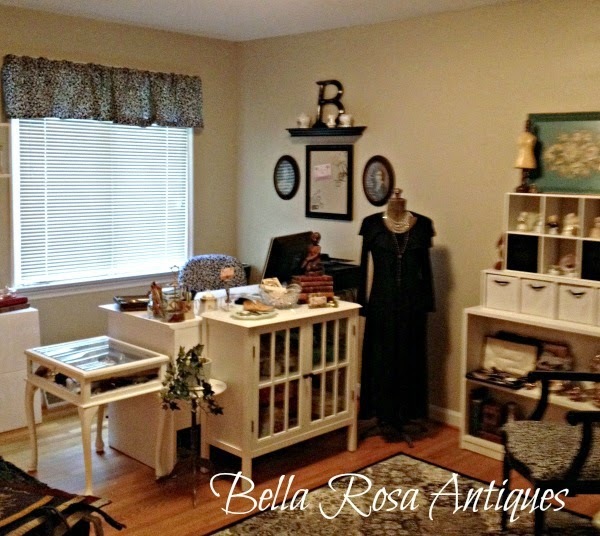 Bella Rosa Antiques: What Is It About Old Stuff? I've loved antiques since an early age. My first piece I remember buying was an old purse. The kind that had a clear vinyl outer covering, beaded a little underneath with a metal chain handle. I have no idea what happened to it. I think I paid a quarter at a local fleamarket while shopping with my parents. During the same trip a dealer gave me a little antique mouse toy that moved by either pulling a wind up string or by pulling it around. I was hooked. Over the years I collected a few more little treasures. I love old stuff because it stands the test of time. It says "I've lasted this long and I'm worth enjoying for a little while longer." It is hard to describe but gosh I just can't help myself. Antiques hold all kinds of mysteries and I just enjoy finding them, selling them, and showing them off! Why do you enjoy antiques? I'd love to hear about it. 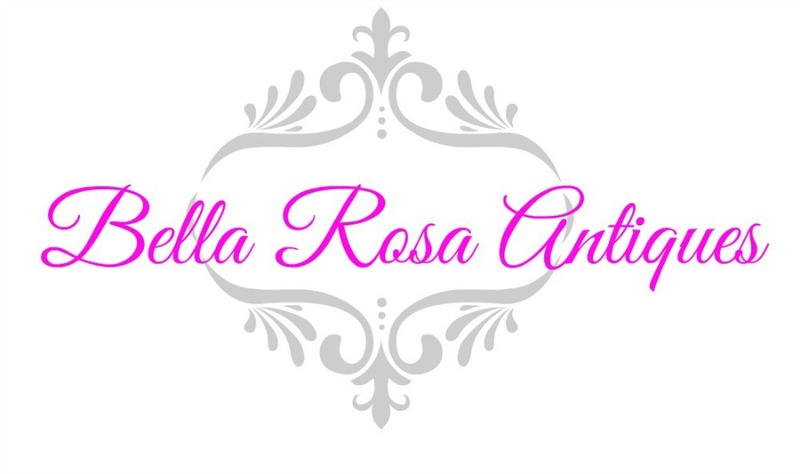 Today I'm joining Thrifty Thursday over at Bloggaritaville! I've never thought about why I love them, only know that I do. I guess it's the romance side of me which likes to dream where they've been and the story they could tell. Going to post the giveaway on Friday. So excited! Don't forget to grab the button. I think I like them because they can make your home unique. It's not the mass produced stuff that everyone else has. To me - they equal charm! I love old treasures because it makes me think of the past. How they used these items in their daily life and now we are enjoying them in our homes to help keep the memories alive. Antiques have personality. They have history. You gotta respect something with personality & history. I think I'm going to start scrapbooking vintage family photos. They need doing too! Oh Jillian we have so much in common! I love Antiques and feel so at home when I am around them, they are comforting to me.. I was very lucky that my siblings did not also have the same love for them..I inherited all of Our Family pieces and treasure every one of them. Enjoy your week! Love the pictures you have posted...I don't remember seeing these before. I think my passion for antiques is that they hold that key to the past. The "what, where, when, how" etc. I like to know that there is a part of someone's treasure that I carry!!! I know real deep, eh!! Overall I love how things were made!! Thanks for the share! I would love to go shopping where you go!! !